When is the Best Time to Clean Your Windows? My thinking is this: Why wait for a certain time of year? I like to look though my windows all year round, so…If your windows are dirty and you’re tired of looking through dirty, filmy windows, it’s a good time to clean them! Even if it’s going to rain? Even if it’s going to rain! If it’s raining, won’t they just get dirty again? The answer to that is “no”. 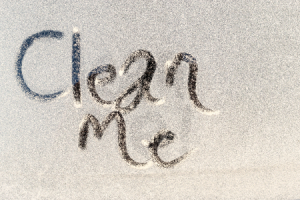 If your windows are already dirty, the rain can make them look dirtier, but it’s kind of like a pre-existing condition….they already have dirt on them. It’s the dirt that makes them dirty, not the rain. 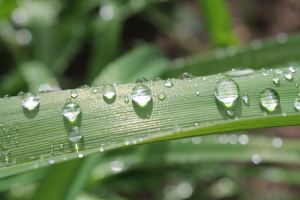 Actually, rain water can help keep your windows clean and extend the time between cleanings. Here’s how: The rain helps clean the air by lowering the levels of dirt and pollen that are drifting around in it, thus preventing them from settling on your windows where they will cause future spotting and streaking. Rain water is actually very clean, pure water, it’s similar to what we know as distilled water. In fact it has fewer contaminants than tap water. Because it is so clean and soft, many window washers (predominantly in the UK right now) prefer using it to clean windows with, and so they have begun harvesting rain water to use in their work, rather than avoiding it. 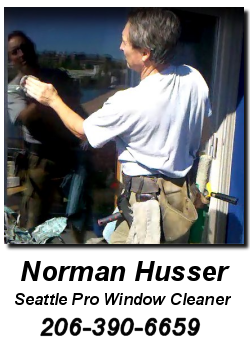 Is it the right time to have your windows cleaned? or you can clean them not at all…. give me a call, and I’ll do it for you.